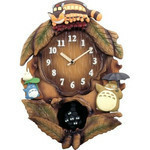 A wonderful clock featuring all the adorable Totoros. 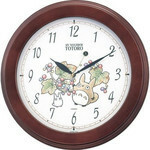 Small Totoro turns to music on the hour every day. Features a cute pendulum with little Kurosukes.